'Twas back in '06 that I stumbled across this site while wasting time browsing the web at work. I was tickled pink to find that there were millions of above-average-intelligence-endowed human beings scattered across the globe who still revere the bands and artists that I intently listened to in the 60s and70s as much as I do. It gave me an opportunity to express my adoration for Yes, Genesis, ELP, Jethro Tull, etc. with others who would readily understand and appreciate the attraction they hold for me to this day. It also opened my ears up a whole new world of ever-expanding progressive rock I didn't even know existed by exposing me to a myriad of groups and individuals that were proudly carrying the prog banner into the 21st century. One band that I'd been curious about was Radiohead. When their 3rd album was nominated for the Grammy's Album of the Year award I remember feeling a little embarrassed that I had absolutely no clue what they were about. When I saw that a host of respectable folks on P.A. considered them somewhat proggy and had penned favorable reviews about their work I sprang for a copy of "OK Computer" and slapped on the headphones. Now I may be getting old but I'm no fogy. I like off-the-wall, discombobulating artistic endeavors as much as the next progger. I find Zappa's freak outs, King Crimson's eclectic excursions and Gentle Giant's strange concoctions (just to name a few purveyors of that ilk) delightful more often than not so something being labeled as unconventional will never keep me from approaching it with an open mind. Anywho, I must've listened to that record a dozen times just to make sure that I wasn't missing something vital but nothing changed my bottom line. As much as I wanted to like it, I hated it. I won't belabor the point but if you really want to know my opinion of it look up my brief, exasperated review. Whatever it was that drew other proggers in was repelling me like a spray of mace. I just didn't "get it" so I decided to live and let live and explore other prog fields for hidden gemstones (like what I found in Porcupine Tree and the Flower Kings). A year or so ago I was gifted most of Radiohead's catalog of music but those recordings just sat there unmolested until recently. Since the group is still around it occurred to me that maybe Radiohead and I just got off on the wrong foot and I should make an attempt to start our relationship over from scratch. After 7 years of ignoring them I decided to listen to their initial offerings with an unbiased mindset, starting with their debut, "Pablo Honey." The opening song, "You," was a pleasant surprise. I was immediately intrigued by the 23/4 pattern (three measures of 6 and one of 5) and the edgy but full guitar tones. Thom Yorke's vocal style reminded me of Elvis Costello's so, being a fan of that man's early material, I dug what I was hearing. It's a good tune. "Creep" is next. I've always liked the self-deprecating honesty in the lyrical content and Yorke's impassioned delivery. Jonny Greenwood's brittle guitar sound betrays an underlying anger that has consistently distinguished this number as being extraordinary. Suddenly bringing a piano in at the end is genius. "How Do You" follows and it's a short-lived rocker that sports a punkish glam aura aka David Bowie from two decades earlier. An homage, perhaps? "Stop Whispering" is a highlight. I admire the unembellished production that surrounds it because it allows them to be exactly who they are. Thom's singing is on a par with Bono here while the song steadily gains intensity as it goes along. "Thinking About You" is another good one. Its stereo acoustic guitar attack is a nice change of pace and I detect a slight Tom Petty vibe running through it. It, too, is brief in duration but Yorke says all he needs to say and then closes the curtain without unnecessary ado. On "Anyone Can Play Guitar" Nirvana's pungent grunge aroma is evident but filtered through a British sieve. Thom's enthusiastic sarcasm adds grit. "Ripcord" is next and it was at this juncture I started to grow weary of their predictability. I savvy that the distorted electric guitar motif is a sign of the times and that it puts a somewhat unique spin on their aural art but it gets to be too much too often. I can tell there's a progressive arrangement underneath the assorted noises but it's hard to decipher a purpose. "Vegetable" has another odd time signature. The verses are presented in 10/4 but once again Jonny's overly-aggressive guitar work makes it difficult for me to enjoy the tune's quirkiness. But then things get better. "Prove Yourself" owns a nostalgic folk rock hue that brings to mind some of the interesting experimentations that the Byrds were dabbling in during the 60s. Not quite but sorta. "I Can't" follows and I hate to keep bringing up other groups but on this cut either the Gin Blossoms influenced Radiohead or vice versa. I'm not complaining, though. I like straightforward, no-nonsense rock delivered with a dash of attitude and this song fits the bill. "Lurgee" is excellent. It's quite simple but it projects a slow-mounting atmospheric tension that pulls me right in as the poignant lyrics are aimed at the heart. They exit with "Blow Out," a tune with a shockingly subtle, semi-jazzy mood that entices. Their manipulation of the composition's dynamics makes this one of the most engaging songs on the album. The ascending "A Day in the Life" -like stacked guitar effect plants a true exclamation point on the finale. 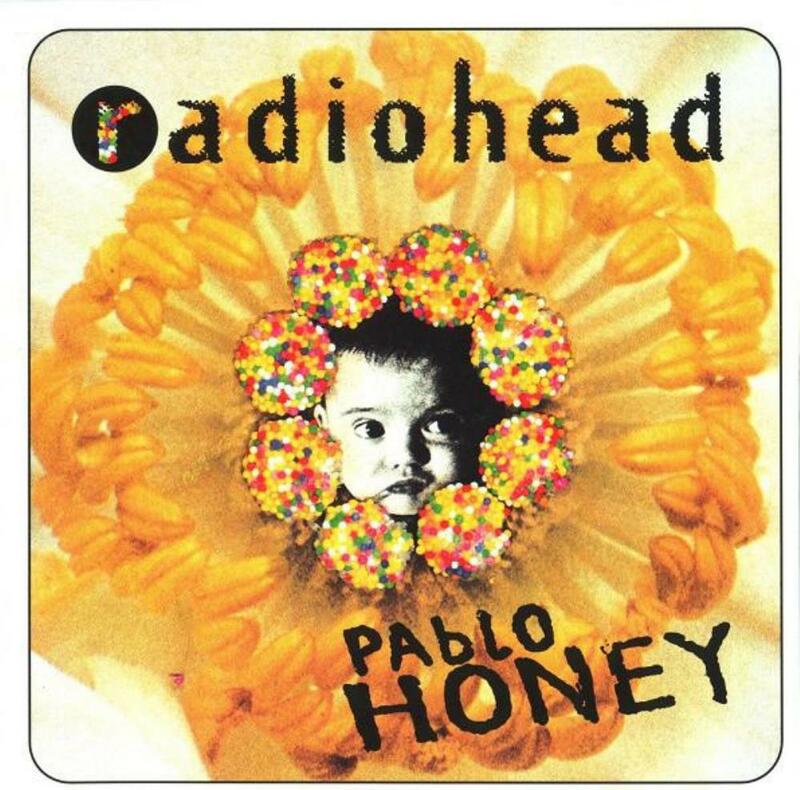 Released on February 22, 1993, "Pablo Honey," aided greatly by the popularity of their dark single, "Creep," did pretty well for an unknown entity's first go 'round the block. While I have no doubt that it was their later, more unorthodox recordings that earned them the designation of being a crossover prog act, I found this album to be melodic yet brave at the same time. I have no idea what to expect on their sophomore effort but I'm happy to say that I'm glad I gave them another chance. This collection of tunes showed they had a respectable amount of potential. 3.1 stars.